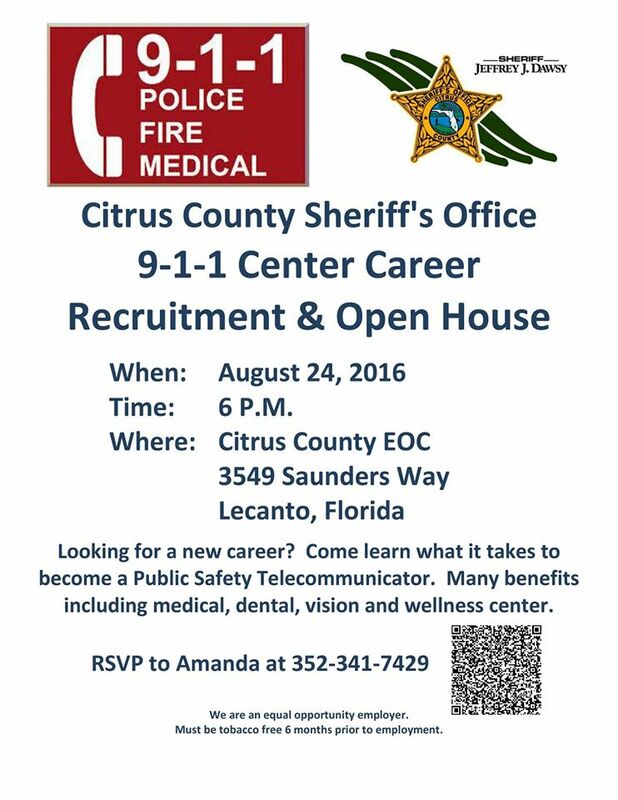 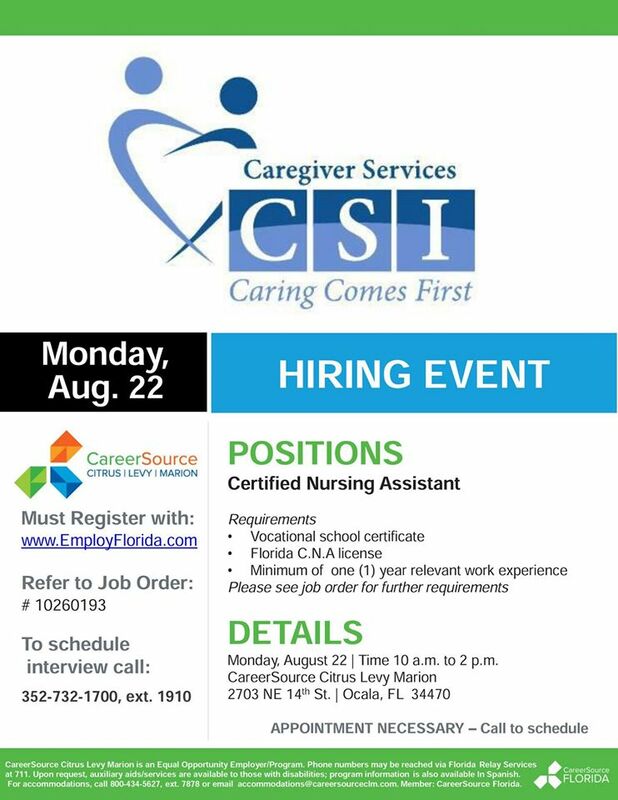 The following hiring events are being held by CareerSource Citrus / Levy Marion from August 11 to 31. 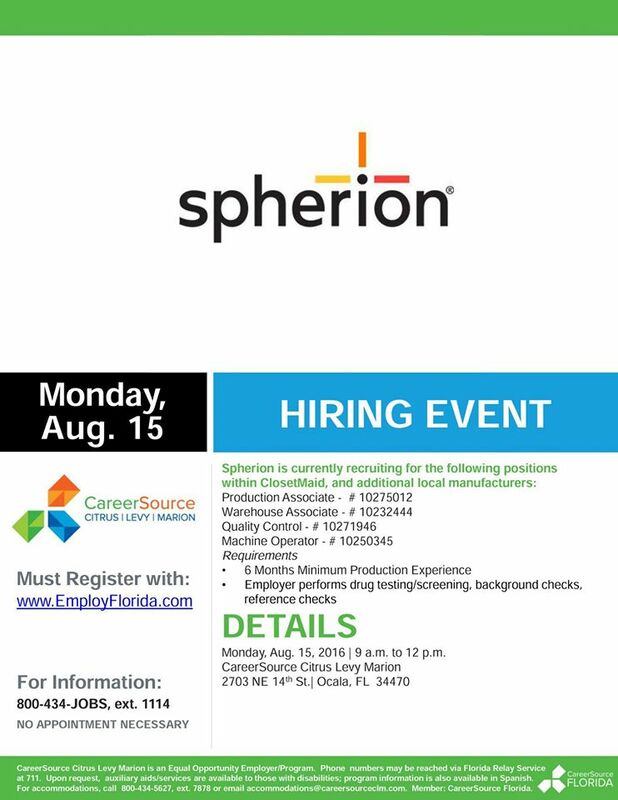 Some events require registration through EmployFlorida.com. 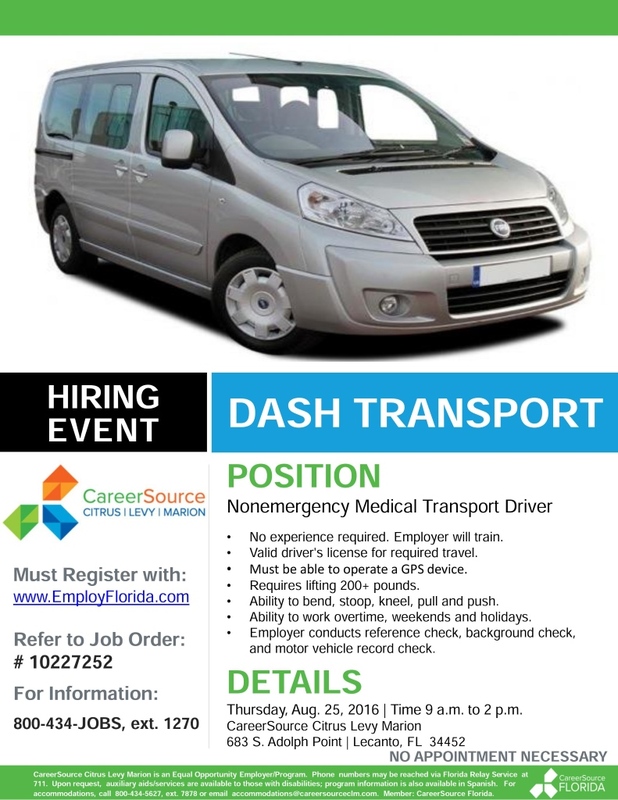 Please see the flyers for complete details or visit the EmployFlorida website. 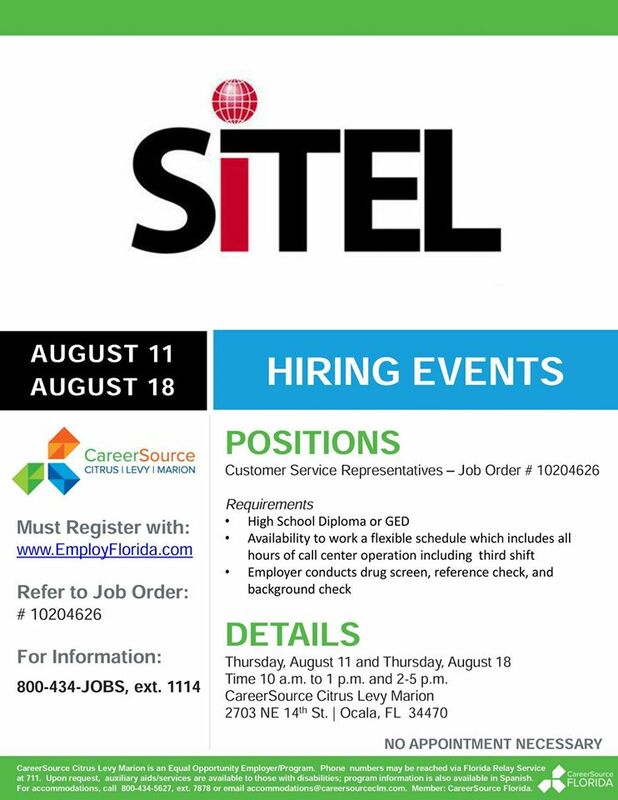 Thursday, August 11 & 18, 2016, 2 p.m. to 5 p.m.
Monday, August 15, 2016, 9 a.m. to 12 p.m.
Monday, August 22, 2016, 10 a.m. to 2 p.m.
Thursday, August 24, 2016, 6 p.m.
Thursday, August 25, 2016, 9 a.m. to 2 p.m.
Wednesday, August 31, 2016, 10 a.m. to 1 p.m. 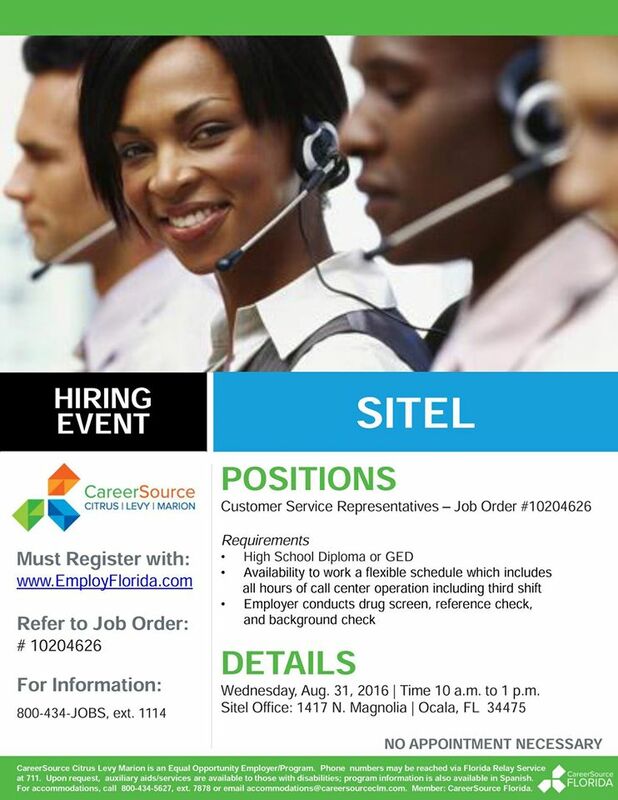 This entry was posted in Jobs, Resources on August 5, 2016 by Andrew Comeau.